to inspire you to organize a fun and memorable bridal shower. You spend so much time putting on the perfect bridal shower, sending out nice invitations to your friends, selecting the perfect wine and other beverages, making perfect finger food and finding bridal shower games to play. 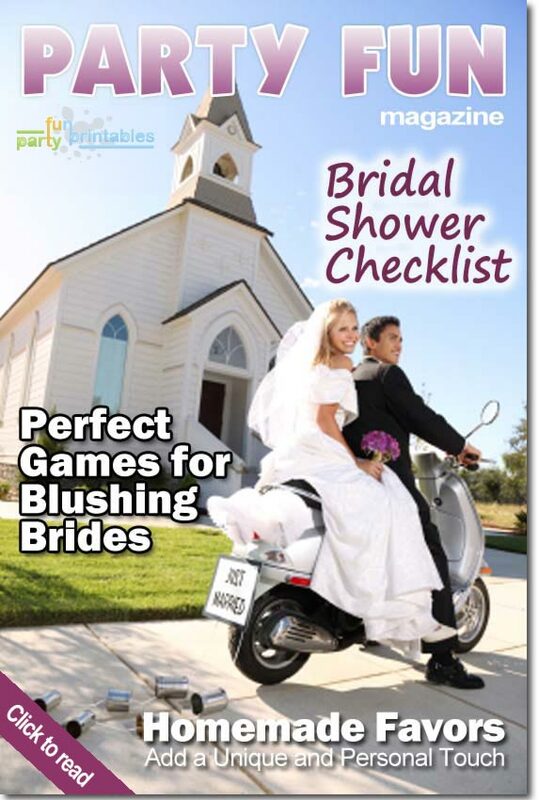 Let us inspire you to organize a memorable bridal shower with the bridal shower party ideas in this edition of Party Fun Magazine (read the magazine).